Back in the day I shot film with a Leica M4 equipped with a 50mm f2.0 Summicron. It was one of those special cameras that was a delight to use even if the subject was marginal. I never expected to relive that unique experience. And I was downright certain that I’d never be able to use my old Leica lenses on a digital camera body. Was I ever wrong. I’ll write about the performance in a future blog. Today we’ll focus on the physical aspects and specifications. 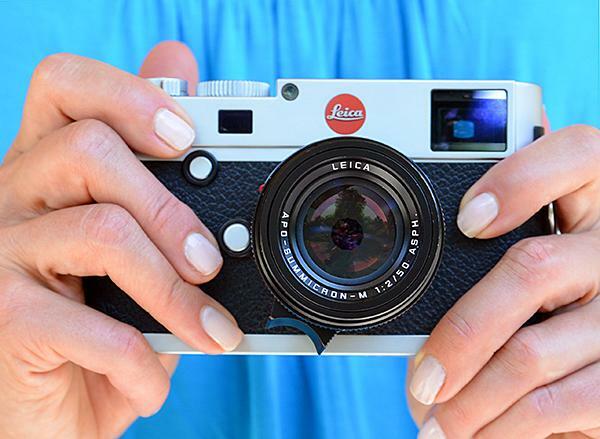 The Leica M has a heft and feel that fairly screams high quality. Every button and dial moves with authority and precision. The top cover and base plate are machined from solid brass. The body is manufactured in one piece from a magnesium alloy. The LCD is protected by scratch-resistant Gorilla Glass from Corning. In short, it’s built to last several lifetimes. The 50mm f2 APO Summicron lens has the rich, luxurious finish we’ve come to expect from Leica. The focusing helical is whisper-smooth and the f/stop ring clicks firmly into each detent when rotated. The APO designation means—by textbook definition—that the lens was designed and built to focus all three colors of light on the same point. Owing to the difficulty of bringing light rays of different wavelengths into precise focus, most lenses compromise. Apochromatic lens yield more genuine colors, more inherent contrast and higher acutance. So that there is no misunderstanding, this dream camera and lens system comes with a very hefty price tag. To buy the same equipment I had the pleasure to use for one week will set you back a hair shy of $14,000. Yes, that’s with three zeros. A lot of bread, sure—but don’t judge until you’ve held one in your hands.